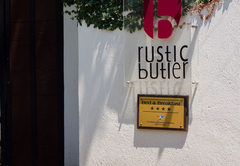 Rustic Butler is a 4 star graded guest house offering White River accommodation in 5 guest rooms. 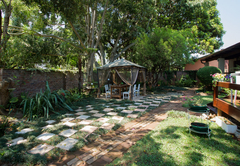 Rustic Butler is perfectly situated in a residential area of White River, close to the Kruger National Park, Blyde River Canyon and the warm waters of Maputo, yet at the same time are very close to the lively city of Nelspruit. 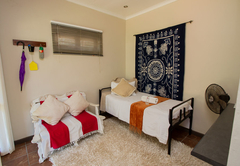 All our rooms are equipped with a TV, fridge, tea / coffee facility, rusks and biscuits, fresh milk and water, bath robes, ceiling fan and heater. 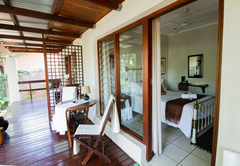 Our rooms are private, comfortably furnished and luxuriously equipped, each in its own unique style. 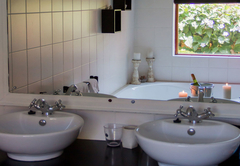 The ensuite bathrooms have a shower only. 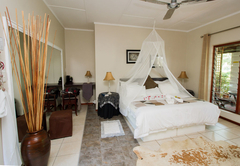 Our luxury room has a lovely king-size bed,a fantastic bathroom with a his-and-her shower and a big corner bath. 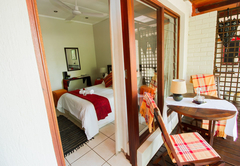 It is the perfect setting for a honeymoon couple. 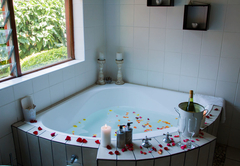 A romantic bath is provided for those guests who would like a bit of extra pampering! 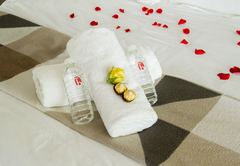 Bathroom robes, candles and champagne are supplied for a perfect evening. 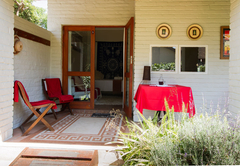 This unit is ideal for a guest wishing to stay slightly longer. 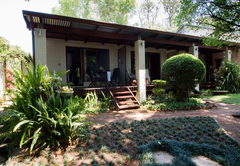 This two-room unit has a lounge with a sleeper coach (big enough for one adult), and TV. 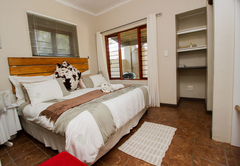 The bedroom has twin beds, a full bathroom, kitchenette, braai area and private stoep. 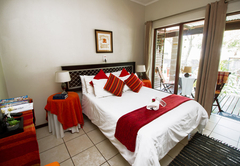 The safety of our guests is extremely important to us. 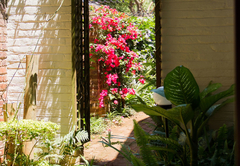 We have a well-lit parking area, remote-controlled gates and alarm systems in the rooms. 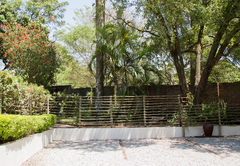 The premises are surrounded by an electric fence and a signal to an armed security company. 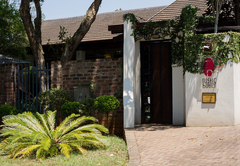 We have a facility in house for your valuables. 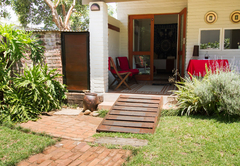 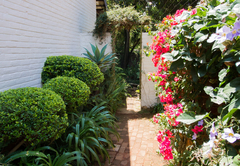 All the rooms lead out onto a wooden deck / stoep area where you can relax and listen to our resident birds. 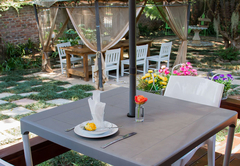 We serve breakfast at your convenience and leisure, either in our dining room, on the deck or, if you prefer, in your room. 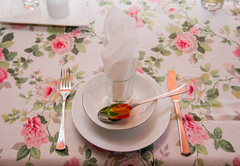 We also offer dinner on request. 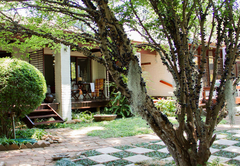 White River is peaceful and cool in the summer and pleasantly warm in the winter. 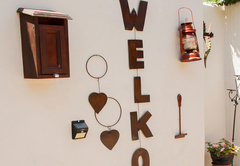 We invite you to come and stay with us to experience this fantastic little place in the sun. 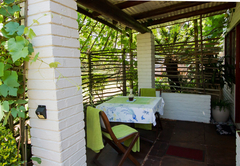 Self catering unit - This unit is ideal for a guest wishing to stay slightly longer. 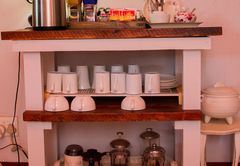 This two-room unit has a lounge with a sleeper coach (big enough for one adult), and TV. 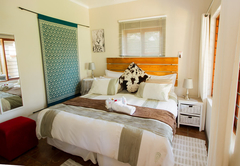 The bedroom has twin beds, a full bathroom, kitchenette, braai area and private stoep. 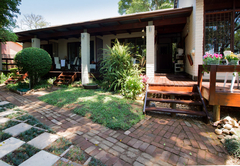 Bed and breakfast units - The rooms are private, comfortably furnished and luxuriously equipped, each in its own unique style. 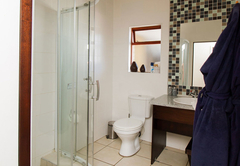 The ensuite bathrooms have a shower only. 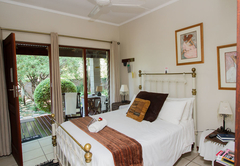 All our rooms are equipped with a TV, fridge, tea / coffee facility, rusks and biscuits, fresh milk and water, bath robes, ceiling fan and heater. 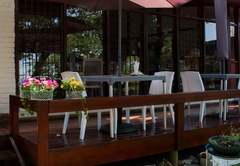 Annelize is so warm and welcoming, The place is beautiful and very neat, Awesome breakfast.......Everything is perfect. 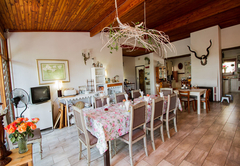 Wow - what a lovely place - the hostess and host are extremely warm and welcoming. 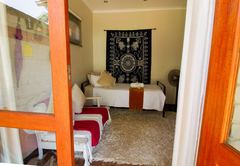 Sjerrie waiting as a welcoming drink, Lovely dinner, clean crisp room, good quality linen, excellent breakfast!! 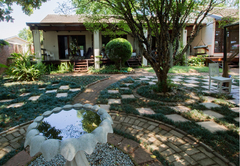 Definately worth the money - thank you Annelize and Daniel.